Choosing a good location can make your job so much easier when you buy a restaurant in Liverpool. 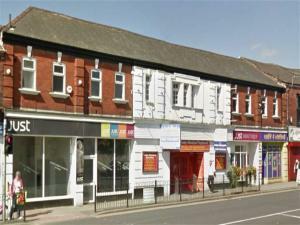 For example, is the area you're thinking of buying a restaurant in busy to attract enough customers in Liverpool. Moreover, if the property in Liverpool that you are looking at buying has parking facilities or a car park nearby, it could potentially increase your customer base. Have the area of Liverpool you want in mind when looking for a property for sale on MOVEHUT. When buying a restaurant in Liverpool, you will need to ensure the property has the right use class. Planning permission may be required if the property hasn't got the right use class, which could be a stressful process to get one. So bear this in mind and start searching for restaurants for sale in Liverpool. It may be that you need to raise funding to buy a restaurant in Liverpool. You will find there are various money raising options for your business. Business loans from a bank is the most popular way of financing restaurants for sale in Liverpool. Whichever financial route you decide to take, be sure to check out MOVEHUT when you are looking at which property for sale for your restaurant business in Liverpool. Deciding what types of restaurants for sale you are interested in is rather important. It may be that you're looking for fast food restaurants. Once you have settled upon a concept, allow MOVEHUT to help you find the ideal property for sale in Liverpool.